Material scientists at the University of NSW (UNSW) have come up with a lead-free brass alloy to replace traditional plumbing brass materials that have been shown to leach lead into drinking water. The breakthrough alloy, dubbed ‘bright brass’, has been designed to retain all the advantages that lead provides to brass for its manufacturing but without the toxicity. 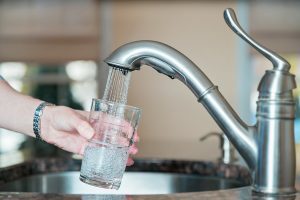 “Developing a viable alternative to standard plumbing fixtures and hardware became a high priority, particularly when it became known how widespread lead contamination in NSW drinking water is – with reports that 56% of households in NSW are contaminated,” says UNSW School of Materials Science and Engineering researcher Dr Kevin Laws. The last stage of the project is to complete machining and manufacturing trials to see exactly how much better they perform.